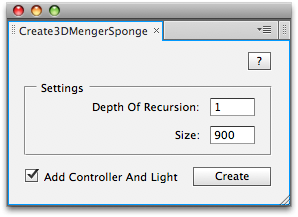 Create3DMengerSponge_Shapes.jsx - variation of Create3DMengerSponge, uses extruded shape layers instead of precomped cubes (CS6 required). 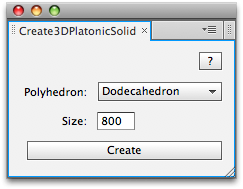 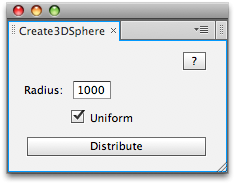 They create the 3D shape using user-defined comp layers. 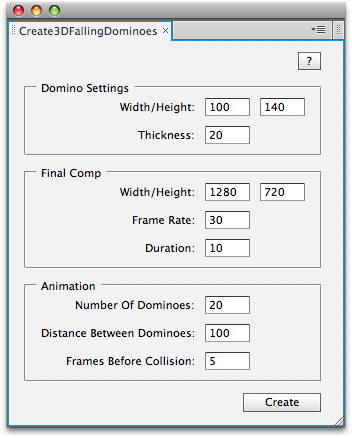 Assign a layer to each side, and the script will position and scale them to build the shape of given size. 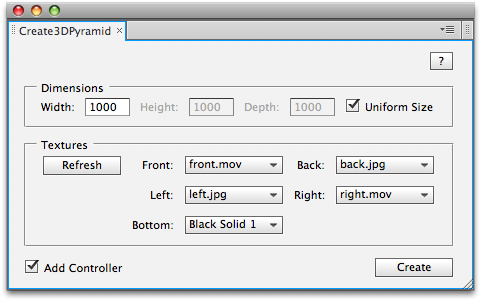 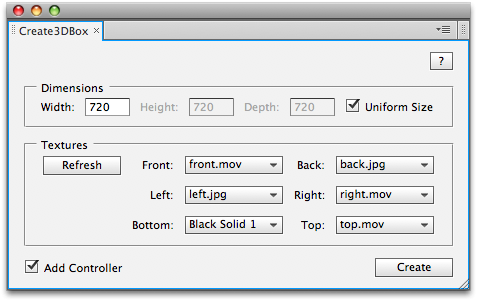 Note that the same layer can be used for multiple sides. 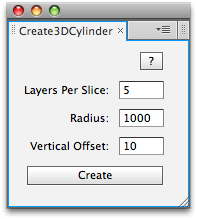 An option allows to parent each side layer to a Null 3D positioned at the center of the shape.